Much has been written about opening an offshore company for the purpose of purchasing property in Dubai. This is not new, but more and more property investors seem to be enquiring about this structure. The first and most crucial thing to note is that only offshore companies registered with the Jebel Ali Free Zone Authority (Jafza) can purchase property in Dubai. This rule was introduced by the Dubai Land Department (DLD) in January 2011. Other jurisdictions such as the British Virgin Islands or Cayman Islands are not permitted to hold property in Dubai nor is it possible to use a foreign company to hold such property assets. It seems that the DLD remains cautious about the concept of foreign company ownership. It wants to keep a close eye on property investments in Dubai and, therefore, needs clear evidence of the ultimate individual owners/shareholders of each company holding properties in the region. With the signing of the memorandum of understanding with Jafza, this is certainly easier to manage. There is greater transparency of information, making it less likely for complications, abuses of power or legal disputes regarding property rights. It also ensures that the DLD will receive its registration/transfer fees when a transfer of ownership takes place. The changes only apply to purchases after January 2011. If you purchased property in Dubai under a foreign company prior to this date, you are still able to hold ownership, however, you would not be able to purchase another property. You can also sell the property at any time provided you have all of the relevant documents attested in the country of incorporation and translated into Arabic. It is also possible to sell a property owned by a Jafza offshore company. You sell as you would with any normal Dubai property sale, but instead sign as the shareholder of the company rather than the individual owner. Again, fully attested and translated documents must be provided showing all of the shareholders and their respective shares. Each shareholder would need to be present personally to handle the sale processes or appoint a power of attorney. It is possible to transfer property ownership from an individual to an offshore company or vice-versa, provided there is no change in ownership. For completed properties, that is, with a title deed, this can be carried out as a “gift” transfer. The property owner(s), however, must be the same as the shareholder(s) of the company with the same percentage of shares/ownership. Also, a no-objection certificate must be obtained from the DLD. The normal documentation for a sale in a company name will apply, but the fees are less at 0.125 per cent of the valuation, instead of the 4 per cent normal transfer fee. Another foreign company can also own the particular Jafza offshore company. This is often the case where a trust, BVI or Cayman Islands company holds the shares of the Jafza company. Among the major benefits of offshore companies are the privacy and security features they offer. They are discreet in that they protect assets and confidential information of the company, which are not open to public knowledge and are not available to governments or authorities of other countries. Registration of a property, in particular, allows for confidentiality relating to the owners. Offshore companies are 100 per cent free from any corporate tax, income tax or value-added tax. This is one of the main reasons many use these. 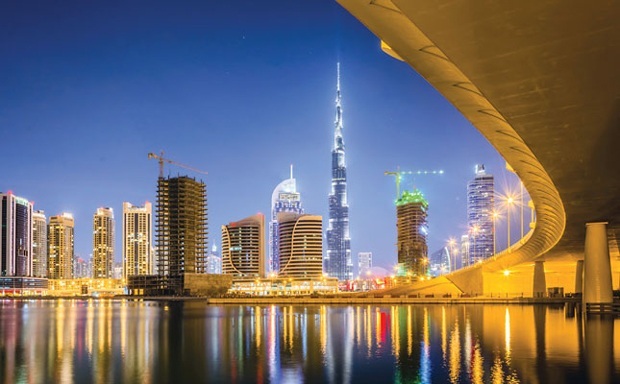 With Dubai set to introduce some low-level taxation, we may see an influx of applications for offshore company formations in the not-too-distant future. Offshore companies are also white-listed members of the Organisation for Economic Co-operations and Development, meaning they do meet the required standards for transparency and exchange of certain information, with no issues surrounding tax evasion or money laundering. Inheritance in the UAE is not a straightforward subject and many property investors remain unsure of the rules and regulations. Does Sharia apply in all instances? What about non-Muslims? What if I have a will? Holding property under an offshore company is one means of avoiding these complicated questions. The company is exempt from local inheritance laws. This removes legal uncertainty and helps to avoid potential disputes over succession rights and even lengthy legal proceedings. If one of the shareholders passes away, the company still owns the property. This is particularly relevant for joint ownership between spouses – each can be made shareholders in the company and assets such as properties can be passed on accordingly. This also allows owners to transfer shares into a trust, if applicable. Under an offshore company formation, you own 100 per cent of the company and there is no requirement for an Emirati sponsor. You are less likely to face ownership issues or disputes over liabilities, profits or losses. Many investors feel more comfortable with this arrangement. The procedures for setting up a Jafza offshore company are relatively straightforward and there are a number of specialist agents in Dubai who can assist with this. Once the application is submitted, background checks will be carried out on the specified shareholder(s) and directors. There must be one shareholder who can be an individual or corporate entity. Often foreign offshore companies are used for such purposes, particularly common law jurisdictions such as the BVI. Costs range from Dh15,000-Dh18,000 annually, inclusive of incorporation fees, registration fees and service fees. It is useful to use a registered agent to assist with the incorporation of the company and the opening of bank accounts. There are a number of advantages to using an offshore company to manage your assets. The whole process can be completed very quickly and at a relatively low cost. There is also no minimum share capital, so this process is less strict than other company incorporation options. There are, however, annual renewal fees to consider. An offshore company, however, would not be entitled to carry out any trade activity or obtain a residence visa. Bank accounts can be opened, but there are restrictions when the owner is a non-resident of the UAE.